If you followed by Instagram Stories this past summer, you already know that I wore Chanel Venise a lot. There’s a few reasons for this. The first reason was I moved and didn’t have access to all my perfumes. The second reason is because I genuinely love it. This is the sort of thing I wanted to wear all summer. Chanel launched three EDTs in their Les Eaux de Cologne collection this past summer. I went by a Chanel boutique after they were launched. As someone that is boring and likes boring Chanel perfumes, I was more than pleased with the trio. However, I left with one that day, the one that I was immediately smitten with, and that one was Venise. So, there really isn’t much to Paris – Venise other than it’s really “Chanel-ish”. It’s a powdery fragrance that brings to mind makeup. For those familiar with Les Exclusifs Misia, Venise which is also inspired by pianist Misia Sert, is basically Misia Lite. 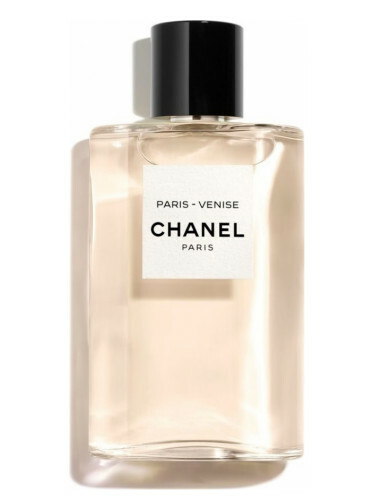 The opening has some bright Chanel-y aldehydes mixed with a type of neroli that reminds me of French “baby perfumes”. Most of the wear of this perfume is a powdery vanilla with a gorgeous iris and a hint of lipstick and violets. I find it really peculiar that Chanel doesn’t list iris as a note when there is so much iris in this! Overall, this wears as a sweeter, powdery floriental that is sheer. It was marketed as a “summer oriental” and that it is. Notes listed include neroli, amber, vanilla and tonka. Launched in 2018. Give Venise a try if you like powdery scents or sweet iris perfumes. Or perfumes like Chanel Les Exclusifs Misia, Malle Lipstick Rose, Guerlain Meteorites, Guerlain Insolence, Chanel No. 5 L’Eau…basically anything Chanel. Or if you like the idea of a cosmetic-y sort of perfume to wear in warmer weather/day wear. This is an EDT. I think for an EDT that projection is average and longevity is above average. It’s light on sillage but staying power is about 8-10 hours on me. It’s in a big bottle so I basically bathe in it anyway because I can. It makes me feel decadent. The 4.2 oz bottle retails for $130 at Nordstrom. Victoria’s Final EauPINION – Powdery iris and neroli. It’s a sheer oriental, powdery and sweet and soooo Chanel. I recommend it to anyone that basically like perfumes that bring to mind a vanity table. It may not be the best thing to be launched in 2018, but it’s the thing that I have worn the most in 2018. It’s something that I’m always going to associate with the Summer of 2018. *Product purchased by me. Product pic from the brand. Sandra Milo in Venice pic from Wikipedia. Post contains an affiliate link. Thanks! Still really want to try these! I’m glad you shared more about why you liked this one in particular. I have a return to make this weekend at Nordstrom so maybe I’ll trek downtown. The other two are more “juicy” and citrus-y. I really like them but it’s getting cooler and I wouldn’t wear those right now. I’m holding out on No. 5 L’Eau – waiting on the limited edition one for the holidays in the red bottle…I can’t help it, I love anything in a red bottle. There was a time in my life where I hated Chanel. Now it’s mostly all I wear. I’m boring.